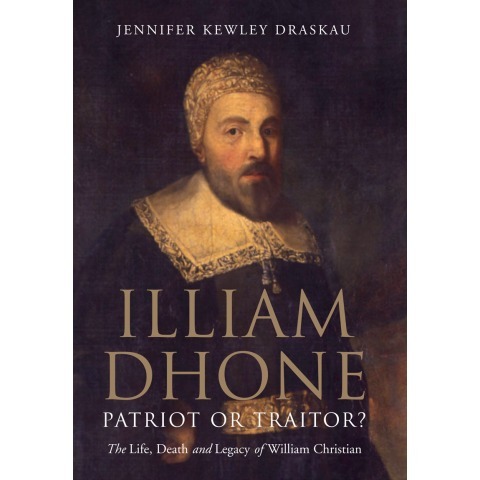 Home | Shop | Books | Illiam Dhone - Patriot or Traitor? Illiam Dhone - Patriot or Traitor? Was Illiam Dhone a Patriot or a Traitor? That is a question that has fascinated the Manx for hundreds of years. Shot at Hango Hill on a cold January morning in 1663 on the orders of the Earl of Derby, his life and times were filled with extraordinary incidents which had a profound effect on the Isle of Man and its people. Regarded by many as a martyr to the cause of Manx rights and freedoms, this new, definitive biography paints a very different picture of a complex man, who was often embroiled in dubious activities and was seen by some as an opportunist, motivated by nothing nobler than self-interest. Set against the violent canvas of the English Civil Wars Jennifer Kewley Draskau's book brings together, for the first time, many extraordinary documents and accounts from the period and throws new light onto a key episode in Manx history. Illiam Dhone - Patriot or Traitor is currently available as an e-book.